Although many children’s toys are age-inappropriate for newborns, there are also ones which are safe and allow them to learn about the world they have just entered. If you are about to have your first child, check out the toys discussed below. 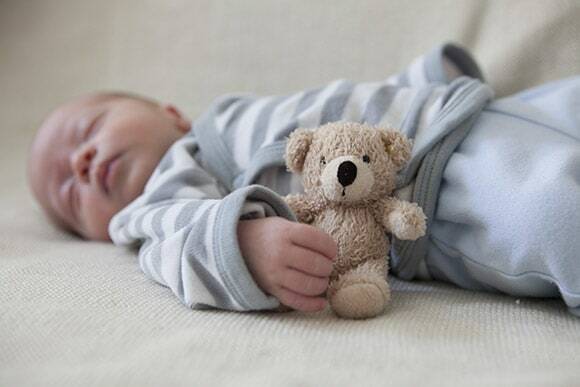 Despite being only days old, newborns are capable of forming attachments to objects. For their first doll, give them one they will love by picking one that is cute, soft, and colorful. Moulin Roty dolls satisfies all these points admirably, as they are made with material which will attract the attention of your newborn child the second they come into contact with it. Don’t be surprised if they end up curling up with it almost instinctively. Your baby’s first few months are crucial to their mental and neural development, so it is vital the toys they are given encourages growth in these faculties. A light and sound play mat will help you in this quest, as your child will be exposed to a variety of stimuli when they press different buttons on these versatile learning aids. They also help develop problem-solving skills, as your newborn will eventually make the connection between pressing a certain button and creating a sound/light they want to hear/see. Having a hard time getting your newborn baby to fall asleep at nap time? Get them a musical mobile. Suspended over the edge of their crib, this toy will give your child something to fixate upon once you leave the nursery. Paired with a soothing tune, a spellbinding mobile will help them get the rest they need during this formative time in their lives. Want your child to get an early start creating their own music? There are numerous rattles you can get your newborn, but sock rattles ensure every move they make will produce different sounds. This will allow them to make the connection between certain movements and specific sounds, which can possibly set them up for a potential future love affair with music. Nothing transfixes a newborn quite like their own reflection. Conventional mirrors are far too dangerous for infants, but there are indestructible varieties which will allow them to get familiar with their own appearance without compromising their safety. Be sure to use this on yourself when you are playing with your child, so they will eventually make the connection that the baby on the other side is them.